Chromium is a chemical element with symbol Cr and atomic number 24. It is the first element in group 6. 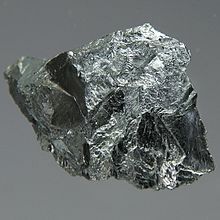 It is a steely-grey, lustrous, hard and brittle transition metal. 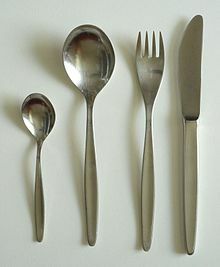 Chromium is highly valued as a metal that is able to be highly polished while resisting tarnishing. Chromium is also the main additive in stainless steel, a popular steel alloy due to its uncommonly high specular reflection. 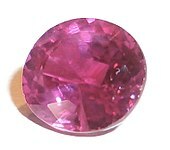 Simple polished chromium reflects almost 70% of the visible spectrum, with almost 90% of infrared light being reflected. 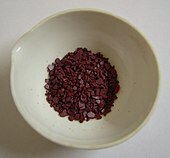 The name of the element is derived from the Greek word χρῶμα, chrōma, meaning color, because many chromium compounds are intensely colored. ^ Champion, Marc (11 January 2018). "How a Trump SoHo Partner Ended Up With Toxic Mining Riches From Kazakhstan". Bloomberg L.P. Retrieved 21 January 2018. ^ Lorch, Mark (2 February 2016). "From chrome plating to nanotubes: the 'modern' chemistry first used in ancient times". The Conversation. The Conversation US Inc. Retrieved 19 October 2018. ^ van der Krogt, Peter. "Chromium". Retrieved 24 August 2008. ^ Papp, John F. "Mineral Yearbook 2002: Chromium" (PDF). United States Geological Survey. Retrieved 16 February 2009. ^ Morrison, RD; Murphy, BL (4 August 2010). Environmental Forensics: Contaminant Specific Guide. Academic Press. ISBN 9780080494784. ^ Breitsameter, M (15 August 2002). 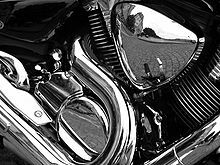 "Thermal Spraying versus Hard Chrome Plating". Azo Materials. AZoNetwork. Retrieved 1 October 2018. ^ Cotell, CM; Sprague, JA; Smidt, FA (1994). ASM Handbook: Surface Engineering. ASM International. ISBN 978-0-87170-384-2. Retrieved 17 February 2009. ^ Vincent, JB (2013). "Chapter 6. Chromium: Is It Essential, Pharmacologically Relevant, or Toxic?". In Astrid Sigel; Helmut Sigel; Roland KO Sigel (eds.). 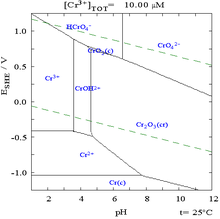 Interrelations between Essential Metal Ions and Human Diseases. Metal Ions in Life Sciences. 13. Springer. pp. 171–198. doi:10.1007/978-94-007-7500-8_6. ISBN 978-94-007-7499-5. PMID 24470092. ^ Maret, Wolfgang (2019). "Chapter 9. Chromium Supplementation in Human Health, Metabolic Syndrome, and Diabetes". In Sigel, Astrid; Freisinger, Eva; Sigel, Roland K. O.; Carver, Peggy L. (eds.). Essential Metals in Medicine:Therapeutic Use and Toxicity of Metal Ions in the Clinic. Metal Ions in Life Sciences. 19. Berlin: de Gruyter GmbH. pp. 231–251. doi:10.1515/9783110527872-015. ISBN 978-3-11-052691-2. ^ "ToxFAQs: Chromium". Agency for Toxic Substances & Disease Registry, Centers for Disease Control and Prevention. February 2001. Archived from the original on 8 July 2014. Retrieved 2 October 2007. ^ San Mauro-Martin I, Ruiz-León AM, Camina-Martín MA, Garicano-Vilar E, Collado-Yurrita L, Mateo-Silleras B, Redondo P (2016). "[Chromium supplementation in patients with type 2 diabetes and high risk of type 2 diabetes: a meta-analysis of randomized controlled trials]". Nutr Hosp (in Spanish). 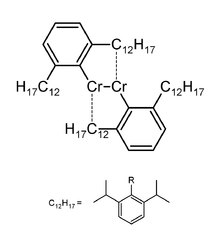 33 (1): 27. doi:10.20960/nh.v33i1.27 (inactive 9 March 2019). PMID 27019254.